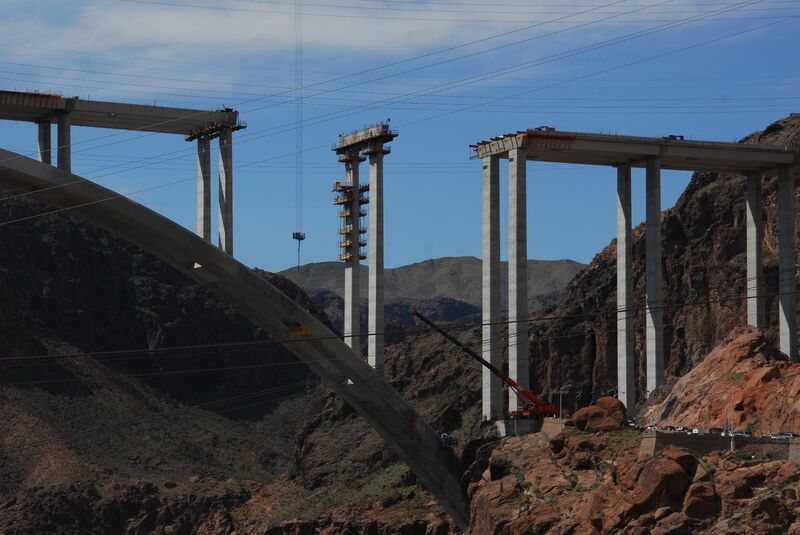 Posted on March 8, 2017 by Ian C.
The last time we were here, the bridge was not completed – not even joined across the canyon, but now there’s a very nice walkway up and along the length of the new bridge, giving fabulous views of Hoover Dam – of course, I took lots of pictures! That last picture is a plaque at the memorial bridge parking that nicely shows the old and new roads across the canyon. It’s interesting too to compare photos from my iPhone 7 Plus, and my Sony high-zoom camera – where I didn’t need the high zoom, the iPhone picture is frequently more pleasing! Hoover Dam is still an amazing structure to visit, and it’s better still now the traffic is improved!